This 4-bedroom villa for up to 7 guests is located in Makriyalos and has a private swimming pool. 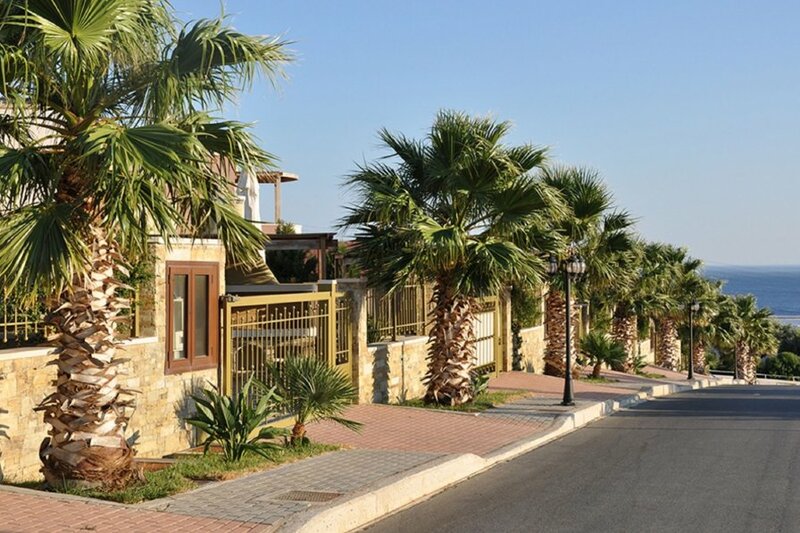 Large, very beautiful, comfortable resort Pearls of Crete, semi-detached. 15 houses in the resort. 9 apartments in the residence. In the district of Analipsi 1.5 km from the centre of Makrigialos, 600 m from the beach. Private: well-kept garden 33 m2 with flowers and trees, swimming pool angular, heated (19 m2, 01.01.-31.12.). Table tennis, barbecue. In the house: air conditioning. Linen change 2 times per week. Towel change 2 times per week. Room cleaning 2 times per week. Airport transfer (extra). Parking at the house. Supermarket 200 m, restaurant, cafe 400 m, pebble beach Lagada 2.3 km. Nearby attractions: Vai Palm Forest 55 km, Archaeological Museum of Sitia 42 km, Ferry to Chrissi Island 29 km, Vreiko Caves 7.5 km. Please note: car recommended. Suitable for families. The photograph shows a typical example. There are more similar properties for rent in this same residence.